Cable TV Pioneers come from all areas of cable. They are the founders and presidents of MSOs and program networks, engineers and technicians, inventors, marketers, and entrepreneurs of independent cable businesses. The one thing they all have in common is the huge contributions they have made to the growth of the industry and their communities. Who is eligible to become a Cable TV Pioneer? Qualifying cable veterans can have an application submitted on their behalf by a qualified Pioneer, with a co-sponsor who is also qualified. Members of the board of directors cannot nominate a candidate. Who can sponsor an applicant? An applicant requires two sponsors. The nominating and co-sponsoring Pioneers cannot be affiliated with the candidate or with each other by a business or family relationship. Both Pioneer members’ dues must be current and they must have been a Pioneer for at least three years. A Pioneer may nominate only one candidate or may co-sponsor just one candidate each year. What support fees must accompany the application? There is an application fee which includes a one-time initiation fee and the first year dues. Memorial applications also require a one-time fee. The application fee is $300 which includes a $250 one-time initiation fee and $50 first-year dues. There is a one-time only fee of $500 for Memorial membership applications for deceased candidates. No application will be processed without receipt of payment. Payments can be sent to the below addresses or submitted through the online portal, which can be found at http://ezregister.com/events/27413/. Submit completed application form, initiation fee, and candidate photograph (or jpg). Are there any restrictions on receipt of the application? 1. All applications must be received by April 1, 2019. No late submissions will be accepted. 2. No application will be considered unless fees are included. 3. All sponsors must be members in good standing with current dues. 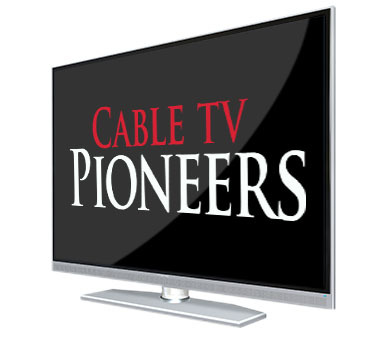 Notice of acceptance into the Cable TV Pioneers will be given to the sponsor in adequate time to notify the candidate and to make arrangements to attend the induction ceremony at the Pioneers' banquet.